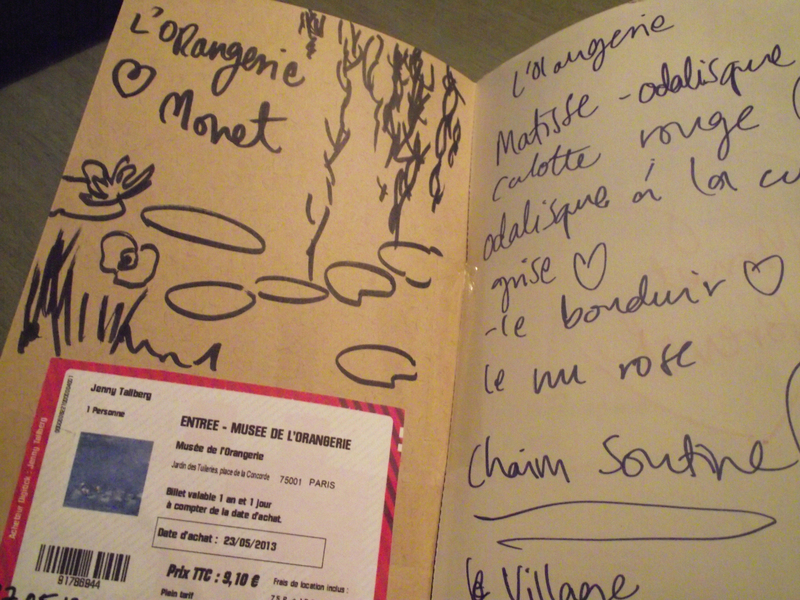 I’ve read about the HUGE Monet paintings covering the walls of l’Orangerie…that Monet made them especially for that place for them to be an oasis of peace and beauty, so there I definatly wanted to go! And they were even more amazing than I could have imagined!! !Super lovely place. 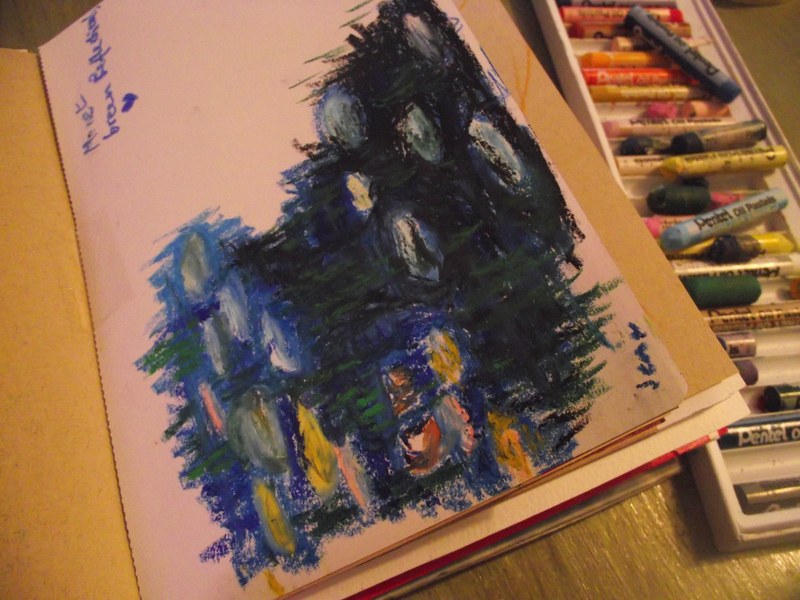 Here’s my small oilpastel sketch inspired by the amazing waterliliy paintings by Monet.. but nothing beats the real thing, they are masterpieces! And I love that he painted them in winter, summer, autumn, spring, in the morning, in the daytime, in the evening, at sunrise, at sunset, whenever. How different they look in different times of the day…so so so interesting! !